Alders Ledge: "We Are Europeans"
"We are Europeans, let me remind you, and must have the same rights as any other resident, with the same opportunities available to every European," Zoni Weisz, Survivor of the Holocaust. Ede and Unku, was once a book that Nazi Germany deemed to be "un-German" due to its tale about a German boy falling in love with a Roma girl. It is now going to be the name of a Berlin road in commemoration of the estimated 500,000 Roma who died in the Holocaust. Johann Trollmann, a Sinti "Gypsy" who won the German light-heavyweight title but was not given the title by the Nazis in 1933. The Nazis then had him sent to die in a concentration camp. Now Germany is set to name a Berlin school after him in remembrance of the injustice he suffered along with the other "Gypsy" prisoners. This year the Germans will be unveiling a new monument to remember the thousands of Roma who died. It will be dedicated to Roma and Sinti. Yet despite all this the persecution of Roma continues in France and Italy without very much rebuke from Germany. England and other countries continue to segregate Roma and Sinti from the rest of society. Jobbik in Hungary remains relentless in its demonetization of the "Gypsy" class. 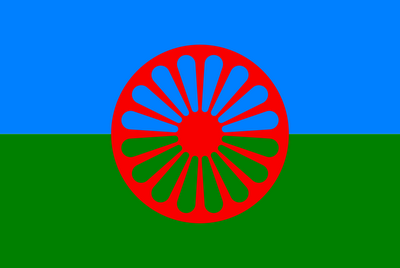 However the move by Germany to have its first Roma Holocaust survivor as speaker at Germany's Holocaust Remembrance Day is a drastic leap forward. It was 1982 before Germany had even recognized the Roma and Sinti killed in the Holocaust. So the fact that they allowed both Zoni Weisz and Roma musician Ferenc Snetberger to be present at the ceremony was a monumental event. Mr. Weisz took the opportunity to point out the hardships currently faced by his people in Europe. "It is unacceptable that a people that has been discriminated against and oppressed for centuries is today, in the 21st Century, still shut out and robbed of any honest chance of a better future." Mr. Weisz declared. His point seemed to be taken more seriously than ever before as the Germans present applauded and validated his remarks. We still have yet to see if France and other European countries will take the German Parliament's lead. We also have yet to see if this display in German Parliament will fully filter out into the German society. At any rate this was a great way to commemorate the liberation of Auschwitz, a camp in which both Jews and Roma were killed.